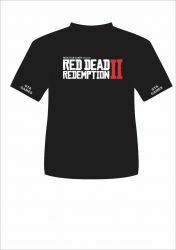 VOCÊ PESQUISOU POR: "RED DEAD"
PS4. RED DEAD REDEMPTION II. 2 + CAMISA PRETA TAMANHO G. MEDIDAS: 57L 75A. NOVO. PS4. RED DEAD REDEMPTION II. 2 + CAMISA PRETA TAMANHO GG. MEDIDAS: 60L 78A. NOVO.